If there’s one thing cooler than playing games, it’s building games. Whether you’re building 2D games like Angry Birds, or 3D games like Counter Strike, you can earn money by publishing them at places like Play Store, App Store or on the Web. 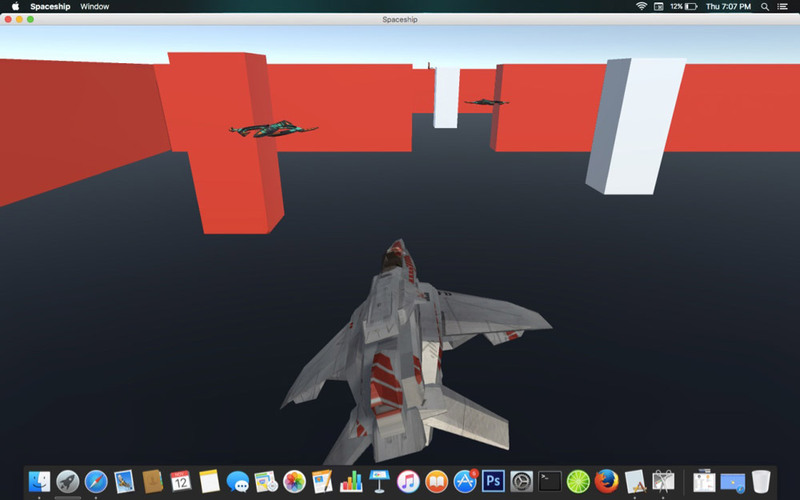 There are many tools for creating games, and in this article, we’ll look at the very popular Unity 5, a gaming platform that facilitates 2D and 3D game development for a variety of platforms such as OS X, Linux, Windows, Unity Webplayer, Android, iOS, BlackBerry 10, Windows Phone, Tizen, WebGL, PlayStation, Wii U, Nintendo, Xbox, Android TV, Samsung Smart TV, Oculus Rift, HTC Vive and Gear VR. Installing Unity is as easy as downloading the installer for your respective platform from here. The download manager is a small file that prompts you to select which components you can download. These downloads are typically large in size (in gigabytes), so you might want to sit back or read through this tutorial before your installation process is complete. 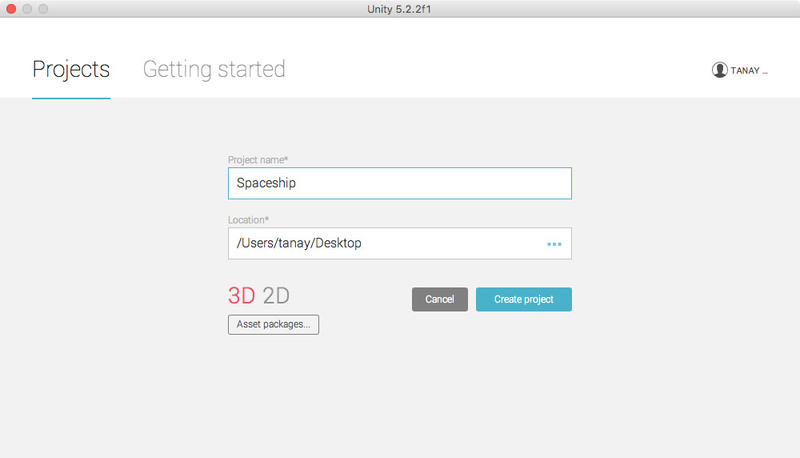 After installation, open Unity 5 and select New Project under the Create a Project option. Enter the name of the project and select the 3D option to import the asset packages for 3D games, and finally click on Create Project. Upon clicking on the cube, you’ll see a number of options related to the 3D object you’ve selected – such as Transform, Mesh, Box Collider and Mesh Renderer. 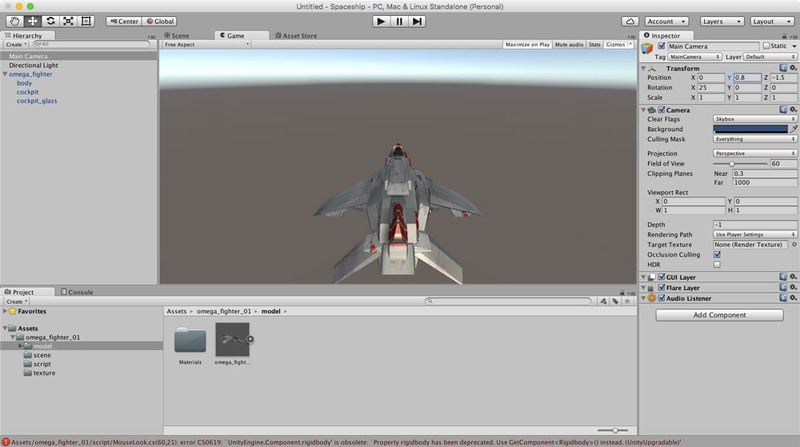 These 3D models interact with each other and the gameplay using what’s called a Physics Engine. You can apply physics rules to any 3D object by clicking on it and selecting Components > Physics > Rigidbody. This will cause Unity’s gaming engine to treat the object as a real-word Rigid Body and apply various real-world interactions to it, such as collisions and gravity. 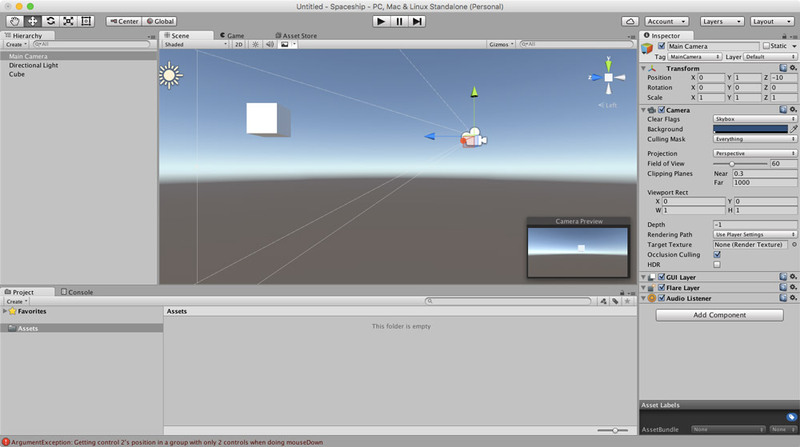 Unity uses cameras to render the objects in the game space. When you enter the Game mode to have a look at your game field, you’ll be able to view it from the camera’s viewpoint – which is also what players of the game will see. It’s worth playing around a bit with 3D models and cameras, as the more familiar you are with them, the better you’ll understand the steps that follow. Since we’ve just started, it’s difficult for beginners to develop very complicated players as well as scenery for the game. Unity’s asset store comes to the rescue to help us solve this problem. 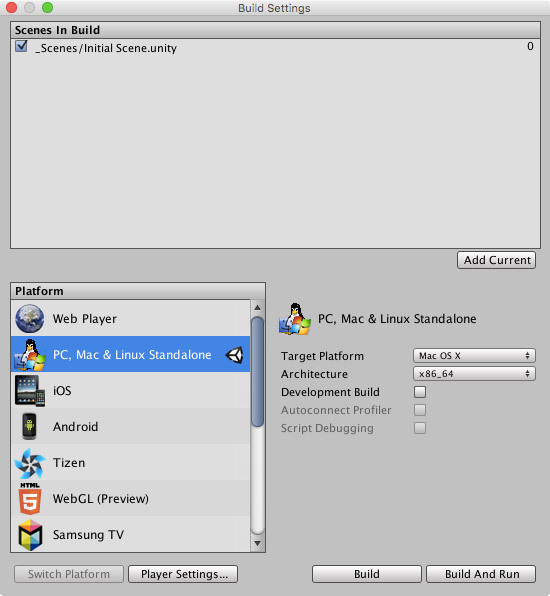 Unity’s asset store is a collection of various models, materials, sounds, animations and more. The assets can be of many types and many models may have animations and sounds attached with them for making your work easier. Just like any other store, there are free as well as paid assets available for building a game. Since we’re building a spaceship game, let’s get a cool looking spaceship for our game. You can also download this asset set by clicking here. Now click on Import to import this asset set to your project. 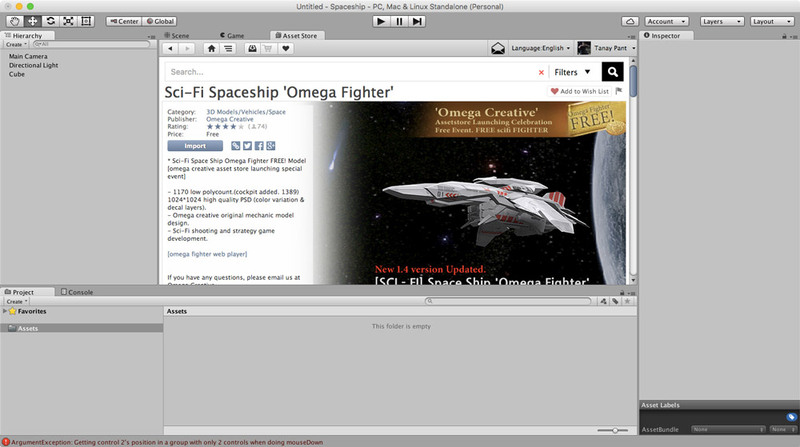 You can bring the spaceship to the gameplay by clicking on omega_fighter_01 > model and dragging omega_fighter to the Hierarchy pane on the left side of the screen. Your model should now be in the game area. You should now reposition the spaceship at origin (0, 0, 0) by clicking on the spaceship and entering the respective values in the Transform menu on the right pane. You will also need to reposition the camera using the same technique. Let’s construct a simple game setting by setting up some obstacles. Place a ground with the help of Components > 3D Objects > Plane options and add some pillars. Your game now needs logic to run. You’ll have to program how the spaceship moves, what happens when the spaceship collides and so on. You’ll have to program your Main Camera to move along with your player, otherwise you won’t be able to keep track of your spaceship once it moves out of the camera’s field of view. The above code will calculate the difference between the positions of the camera object and the GameObject and will update the camera’s position (using the LateUpdate() function) according to the player’s position. Now, add a script to the Player object. Here we have imported UnityEngine.UI to import the datatype Text, which is present in the UI toolkit of Unity. The above code maps the movements of the spaceship (player object) with the arrow keys (using the Input.GetAxis function), and moves it using the AddForce function. It also introduces a tilt to the spaceship as the spaceship moves left or right. The Quaternion.Euler function is used for the rotation of the spaceship depending on the force acting on the Rigidbody. Both the rotation and AddForce methods make use of a Vector3 object for taking information on the direction where the movement should take place. We have introduced logic that if the player touches an object with the tag Obstacles, the Destroy function destroys the spaceship and the object with which it collides and then You Lose! text is displayed. If it touches an object with the tag Win, it displays You Win! . The latter object is the last wall of the maze. Now, going back to the game window, you’ll notice that the scripts have been attached to the respective objects. You’ll now need to create text objects, which is possible by selecting GameObject > UI > Text. Position the text accordingly. Now click on the Player Object and have a look at the settings under the script section. There should be options like Lose Text and Win Text. Assign the empty fields the appropriate objects by dragging the right game objects from under the hierarchy in the left pane to the empty fields. Setting Speed 8.5 and Tilt 4 worked well for me. Similarly, add appropriate options to the Camera object. You can now test the game by clicking on the Play icon on the top (center) of the window. As you see at the end of the video, I put a huge helicopter in the game – from the Asset Store – and added the Win tag to it. In this way, if my spaceship reaches the helicopter, the game ends – and you’re a winner! 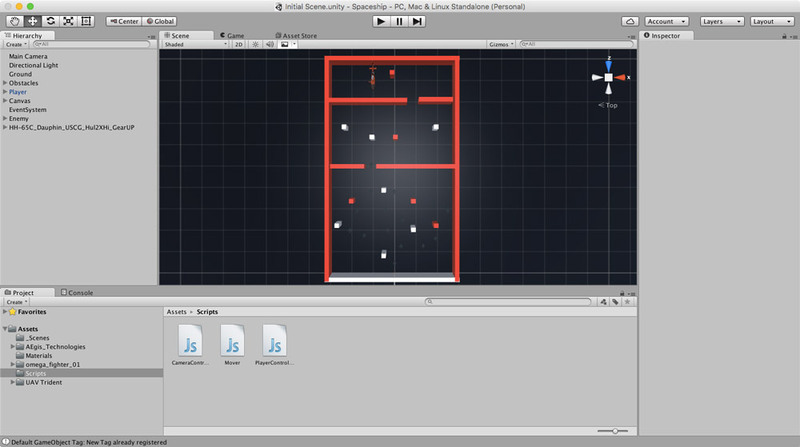 Unity 5 provides a great opportunity for interested people to develop 2D as well as 3D games. As we’ve seen, the game development workflow – including the scripting – is quite elementary, and you can easily develop games of varying complexity using the same workflow. An example of a game that you could publish and sell would be a spaceship game where enemies fire at you and you fire back at them. The game might consist of several levels or stages. The learning curve for developing professional games for Unity is not very steep. The Unity Asset Store is a great resource for finding interesting assets for your game, so that you don’t have to start working on your new game from scratch. 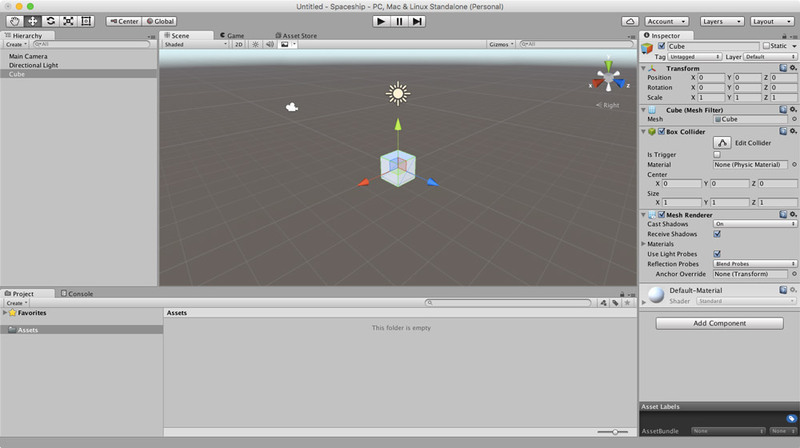 Have you developed any games with the help of Unity? What is your favorite gaming engine? Tanay Pant is an Indian author, hacker, developer and tech enthusiast. He is known for his work on Learning Firefox OS Application Development , which was published by Packt. He is also an official representative of Mozilla, and has been listed in the about:credits of the Firefox web browser. His personal website is tanaypant.com.